Today I saw an auction sign that said, “Superb semi in tree lined street.” The street is an avenue of mature Brush Box in & it is very lovely. 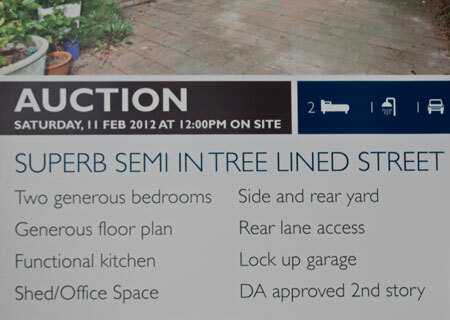 The trees were used by the real estate agency as a selling point at the main point of contact, the sign outside the house. Even though potential buyers may not be able to inspect the property until it is open, they can look around the street & this may be enough for them to decide whether to return or not. I’ve been saying for a while that a good street tree increases the value of your property so it makes economic sense to keep that street tree out front & look after any new street tree the Council has planted. If a tree is vandalized on your street or even removed, this will have a direct negative impact on the value of your property. How much? It may be 30% of what your property is worth, that’s how much. While writing this I found a 2010 article published in the Sydney Morning Herald titled, ‘Why a tree-lined nature strip can add 30 per cent to your property value.’ I’ve said this kind of thing before & watched people’s disbelief. Not possible! But it is. It is also 2012 & as with anything, property prices are always rising so the value added by street trees would have also risen. It certainly wouldn’t have gone backwards. Ask any real estate agent & they will confirm that most people will pay more for a house that is in a nice street, that is, a street that has good street trees. 30% more is an extra $25,000 for a property worth $750,000. Real estate agents agree that a good streetscape can add 30 per cent to the price of a property. There are many factors involved here but overall the verdict is quite obvious – a top-quality street is one that has big, leafy trees. There are few people who won’t appreciate that. Big leafy trees can often add more value to a house than an expensive renovation. High-quality street trees are a lasting contribution that developers can leave for future generations. A property that needs work can be changed, but you can’t change the location or the appeal of the street unless the council does something. 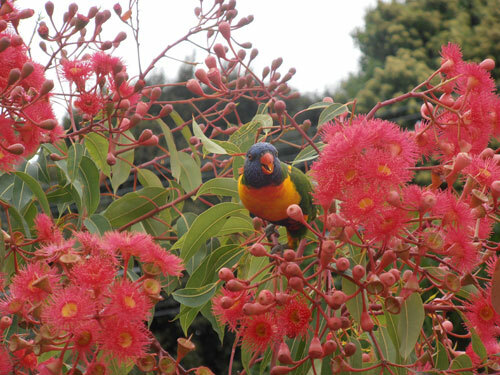 Summer is here so if you have been lucky enough to have Council plant a new street tree outside your property, giving it a drink a couple of times a week over the hotter months & once a week over the cooler months for 2-3 years will pay you back in many more ways than just financially.